Garden style, full-service property. 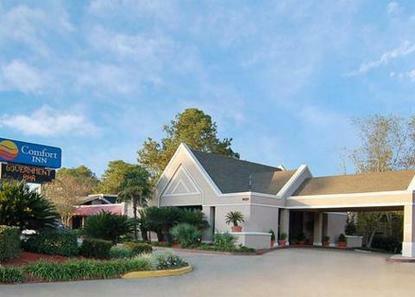 Indoor corridors, outdoor pool, exercise room, free continental breakfast, free airport shuttle. 3 miles south I-10. Free full breakfast buffet for all governments travelers with ID booking appropriate discount (ask for SGM or LSTATE rate). Business travelers will appreciate free wireless high-speed Internet access in all rooms. This is a pet-friendly hotel. Government/military (SGM or LSTATE rate only): free full breakfast buffet included.